This Salone del Mobile & Fuorisalone is shaping up to be THE BIGGEST EVER! Euroluce - and now, S.Project - always heightens the excitement plus there have been several mergers that further add to the “what’s going on.” Designers and architects are coming in droves, and there are many people who are coming for the first time and their anticipation is contagious. Salone del Mobile – where you see people you rarely get to see; things that excite you; things that don’t; the rock stars of design… it never gets old. Then, there’s… wait for it… wait for it... bde’s Restaurant Guide. Updated and manageable, organized by neighborhood for your convenience. Now with a custom google map! Trust us - you’ll want to use this - click to see why. Use it. Tell your friends. Tell your colleagues. Tell us what you think! We’d love to hear from you on anything Salone, and also any comments re: our clients, restaurants, design, etc. If you’re interested in VIP invitations or appointments, please email me. This list was compiled and updated by us – from native Italians and those in design who do TONS of business in Italy. We’ve tried some; not all. But the recommendations come from great people who are discerning and foodies. If you have a favorite not on the list, let us know. If you try one of these and find them not up to the recommendation, let us know. There’s also an Open Table-like app called The Fork for reservations. In any case - mangia! Disclaimer: There’s STILL one place I will NOT list ! 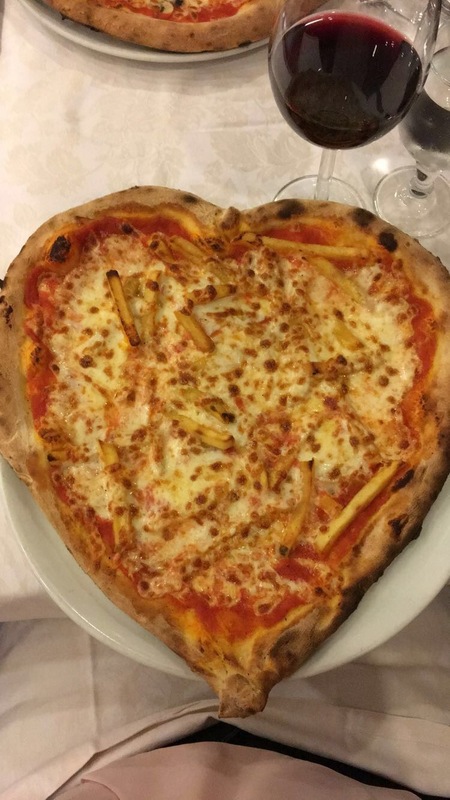 I’m more of a trattoria person so if any of the “chic” places are not on the list – apologies. Great views; good for drinks or lunch – not for dinner. A Milanese classic! Still one of my favorites. I know, I know…there are franchises other places – but this faces the top of the Duomo. And, it’s really good for lunch and drinks! Recommended by frequent travelers to Milan and one who totally knows food & wine – Rob Forbes. You’ve walked – or will walk – by this a hundred times. It’s wonderful for afternoon tea, a coffee or aperitivo. Oh and people watching. A new recommendation from a true “influencer” Paolo Ferrarini. Recommended by our good friend, Gabriele Chiave of Marcel Wanders Studio. The place for panzerotti, a delicious fried dough snack. 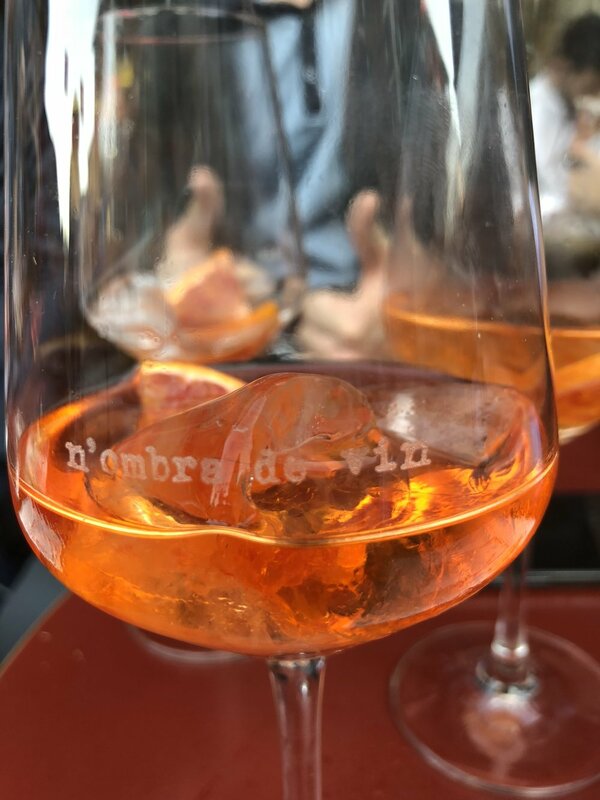 Recommended by Stefano Giussani, Lissoni Inc.
Aperitivo recommendation from our wonderful photographer Federica Carlet. 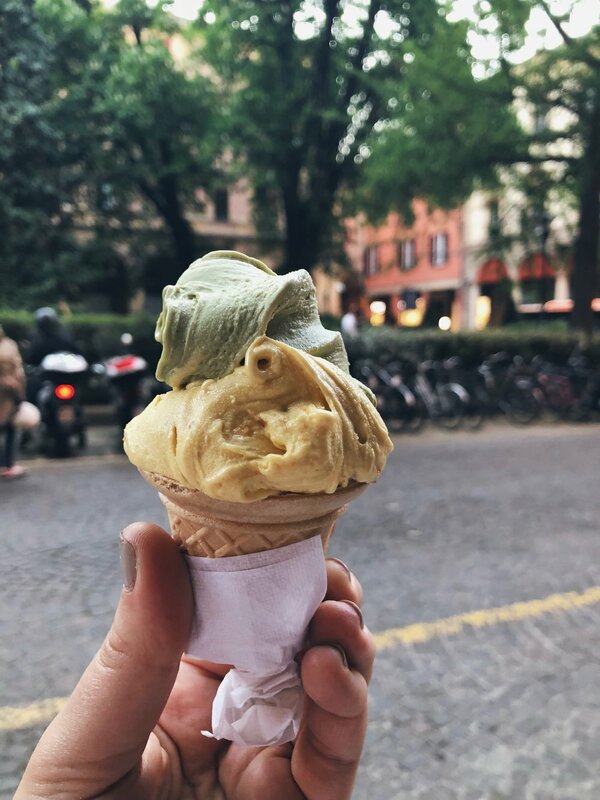 Brera area – Miuccia eats here, too! Reviews are mixed. I never knew the name of this place, but it’s the go to place for drinks day or night. When you see it – you’ll know it. In Brera. And it serves BREAKFAST! Recommended by two foodies. Plus by Principe di Savoia! Welcoming. 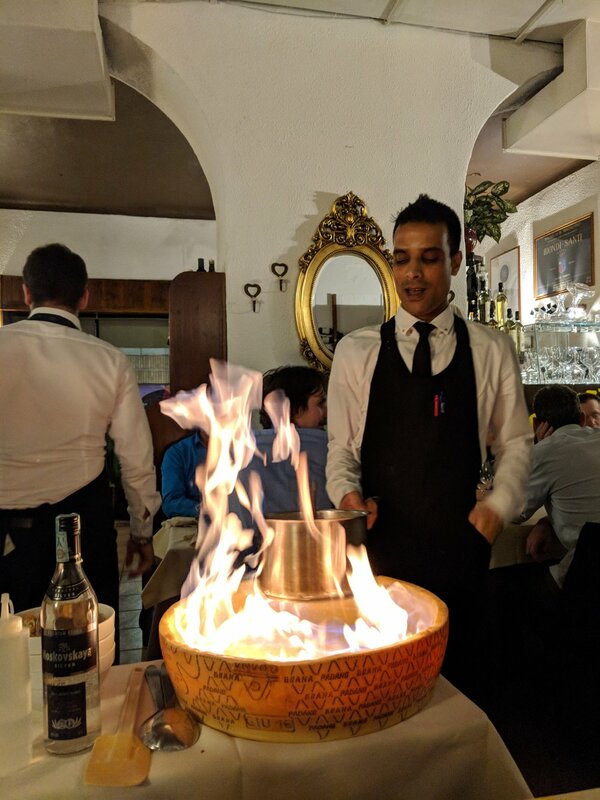 One of the oldest Indian restaurants in Milano – if you tire of great Italian food (which I DON’T). It is near the home of one of our favorite designers Ron Gilad and they, like me, adore him! It’s not easy to get a reservation. We found the food better not during Salone. Mediterranean food. I think I was here once, was just OK but recommended by an Italian. Typical Roman cuisine. Brera area. Thanks, CIVIL. Contemporary bistro recommended by Paolo Ferrarini & Donatella of FLOS too. Again, they should know. 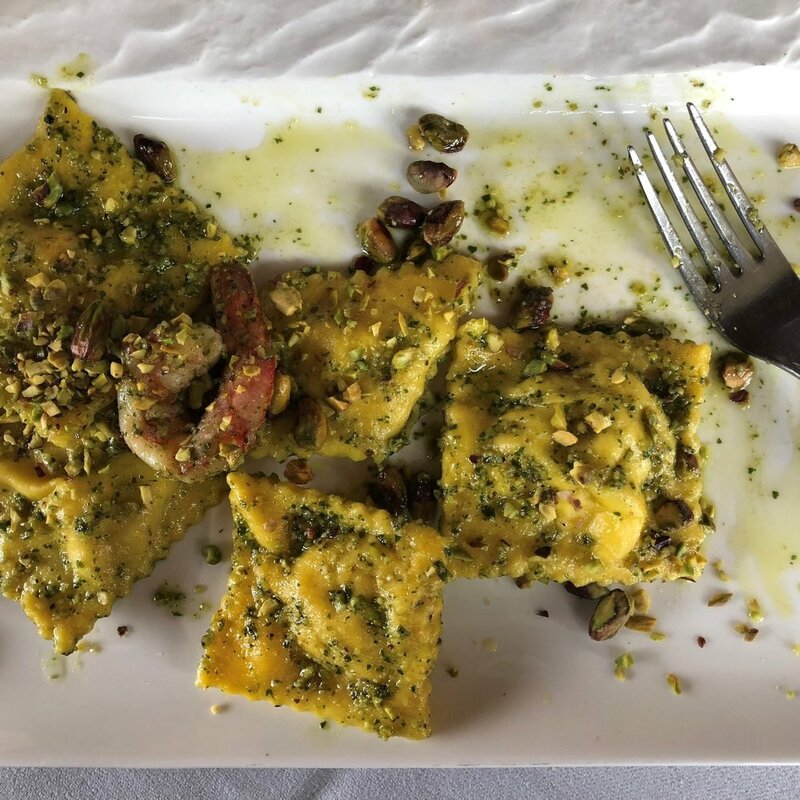 Sister/Brother to Pisacco – great for pizza and aperitivo. Celebrating 40 years. This area is steaming with great places to eat and drink! I have to say I was treated royally when I lived in Milan for a month. So they are high on my list again. The food is always good. Closed Mondays. Michelin star restaurant started in 1950. Simple food. A Fantini favorite. As a matter of fact, it’s a lot of people’s favorite. A recommendation from Jack Schreur at FLOS. Thanks Jack! A historic cafe in Brera. New recommendation from Lissoni. Standard but always good food. Formal. Known for its Risotto Milanese; if you can sit outside – do. A recommendation from Gabriele Chiave. The name and the location make it! I wonder how it holds up with all the new Japanese restaurants in Milan. Let us know. A recommendation from Federica Carlet – and the whole bde team loved it! 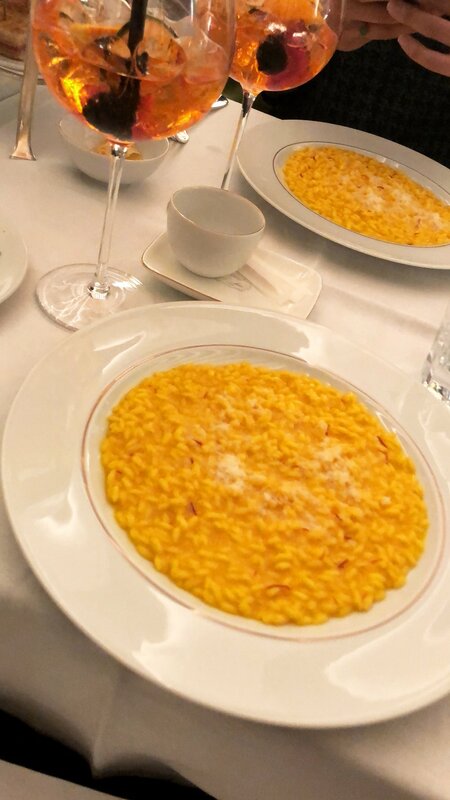 Get the risotto alla vodka - they make it at your table! Located down an alley by the hotel. Cocktails are the thing here. Very beautiful with garden and Federica likes it. A favorite of a journalist friend of mine – who loves this place for its creative and exciting cooking. Great wine list. Local favorite – Meat is a specialty. 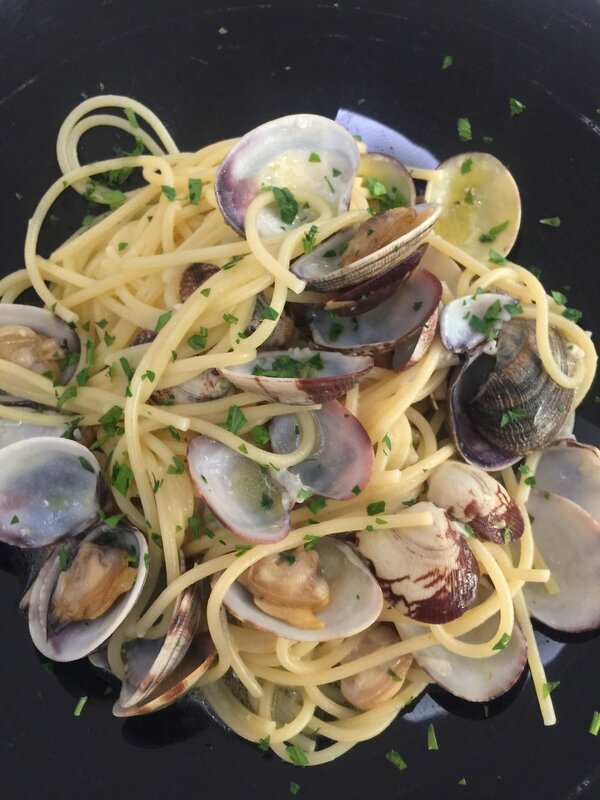 Oyster Bar & Restaurant – recommended by a local and my dear, Federica. A fav of a very stylish Aussie living in Milano! Great gin bar too! Recommended by Margriet Vollenberg, founder of Ventura Projects. It’s an art gallery and more – try the bistrot. Recommended by Gabriele Chiave. Just for drinks – not food. Rumor has it that if you ask the barman they can tell you about a nearby speakeasy. Alongside the canal. New chef with good reviews. Can be expensive. Informal, but expensive. Grilled food really good. Good view of basilica. Founded in Rome in 1936, opened Milan in 2017. CIVIL likes it! It’s really, really hard to get a reservation! But come for an aperitivo! Specializes in Pugliese food. A modest but rich menu with fine wine - another recommendation by Margriet. Aperitivo only – closes at 3 p.m.
Great reviews by all. One of the oldest in Milano – since 1880! And our friend, Dung Ngo lists as his fav. In the heart of Chinatown, near Hotel Hermitage, you must try the “stinco” – roast pig! Not for vegetarians. Lunch or drinks best. And, now open in New York. Chinese food – Italian style. Hmmm – let me know. Pasta to soup to ice cream. One of those places. Reliable. Motorcycle accessories & café for aperitivo and typical buffet. Interesting. This is a place to rent and the owner was a winner on Master Chef Italy. Luisa Chiaberta of Missoni Home recommends this highly. Chef Cesare Battisti says it all. Service and wine list above all else. Recommended by a native Milanese. If you like REALLY REALLY thin crust pizza, this is for you. It’s like a real local diner/café. Again, let me know. Felix Burrichter of PIN-UP loves this place with its garden terrace, which makes it feel like you are in the countryside. Near Centrale. If you go midsummer, take the mosquito spray! A favorite of Marco Beghin – and just with that name…he ought to know. Slow food. Another wonderful breakfast or brunch choice. Cozy, great for late night, and great ambience. A recommendation from Gabriele. Not a restaurant - but a post-dinner discoteca you won’t want to miss. A new recommendation from friends at Lissoni. Looks completely “old school” and wonderful. Recommended by Dung Ngo of August Journal so it MUST be good. For late night drinks, and people watching. The after after party. Really good Chinese - and a favorite of the fashion crowd. A new recommendation from Stefano Giussani at Lissoni. A typical trattoria, with specialties from Friuli region. A recommendation from our friends at Ventura Projects. A terrace with breathtaking view on Milan’s majestic Central Station - thanks Ventura Projects! This unique restaurant finds its origins in the warehouses of Magazzini Raccordati that were home to Milan’s past fish market. A recommendation from Ventura Projects. Again IF you tire of Italian, this is Japanese recommended by an Italian. Atop the Triennale with views that are fantastic – to say the least! The food is very good, but the view is unmatched. This is opened for lunch and it’s also a cooking school and private event space. It’s really wonderful – from the ambiance (sit outside), to the service and food. Thanks to Luisa Cevese for this recommendation. I can’t wait to go back! Urban Lighting’s Tim Jackson’s recommendation. Usually a long line, but if you love pizza, this is the real Napoli one! Designer Toan Nguyen recommends this Japanese, 1 Michelin star restaurant. Owner is Chinese; Chef is one of the best Sushi chefs. Designed by one of my favorites, Piero Lissoni, and the chef doesn’t disappoint. Was formerly the D&G restaurant. Charming, unstuffy, yet clublike. Recommended by several design people I trust. I thought it was OK. Recommended recently by Paolo Ferrarini. English speaking waiters noted. That could be important. This opens at 6:30 am! Porta Venezia area. Great for breakfast and best croissants says CIVIL. Stop by PAC for an appetizer of contemporary art & architecture beforehand. Recommended by Gabriele. Classic. Trattoria. Thanks for the recommendation, Paolo! Recommended by Paolo but reviews are mixed on Tripadvisor. Some pastas amazing, others not so. If you go, let me know. Fondazione Prada is A MUST. And this wonderful eating and drinking place, designed by Wes Anderson, is truly a treat. Local recommendations and from our dear Federica Carlet. Cuisine from Rome and reasonable; great atmosphere. “I like this place as it reminds me of tastes and flavors from my land: Genova and Liguria.” Thanks Rudi Van Wedel and Paolo F. – both who LIVE in Milano. Seafood, what else! Porta Romana area. Outside the city center…who knows what you’ll stumble upon? “Laugh, dance, drinks, eat, chat, meet and make new friends.” This is a dance bar! Opens at 7:30 pm, and music starts at 10. Monica Castiglioni recommendation. Makes you feel like family. Recommended by the delightful Bassam Fellows fellows! It’s a bit quirky. Simple menu. In Nolo. Local recommendation. Modern simple design; highly recommended but a bit overpriced. “Because it seems to be in the countryside.” 25/30 minutes outside of Milan. All the food is sourced locally. A favorite, again from those who LIVE in Milano. Outdoor garden. This is a bit far from the city center and I’ve heard good for a business dinner, and “amazing”. And you know Eataly, Peck and Princi – I hope! WOW…If I missed any, please let me know – always interested in learning more! Looking for our guide to events, exhibits, and more? Click here.